Was there any disruption caused by the tube strike? Not here at Whitechapel there wasn’t! 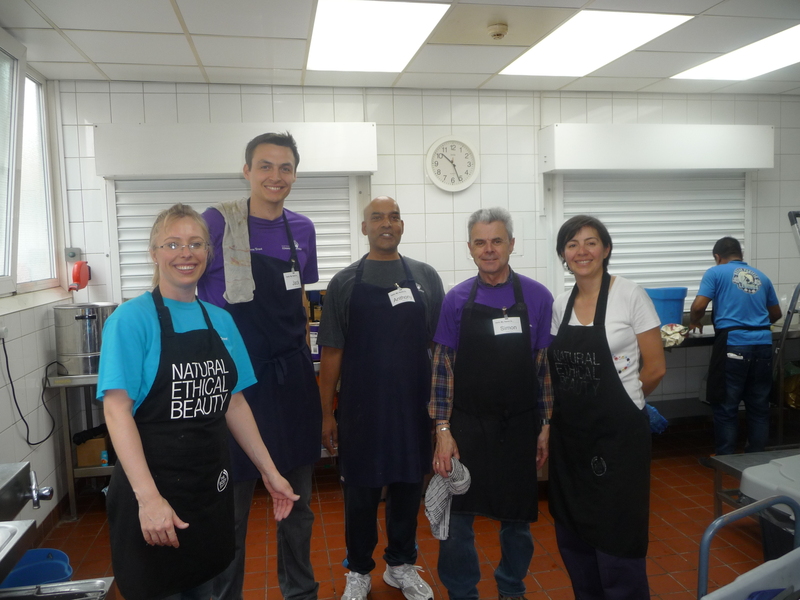 Northern Trust battled any transport trauma’s and 7 hardy volunteers got here to serve and smile. Not that London Transport affect our customers, they are used to travelling by shank’s pony; their feet are a testament to that. Great admiration must go to Northern Trust for getting here on time and giving their time so effortlessly. Thank you; Normal service continues.